Most reliable HVAC company servicing the Piedmont Triad located in Thomasville, NC. Spring is the perfect time to get your air conditioner up and running, so you can be sure it’s in top shape for the summer. Since it’s probably been sitting dormant for several months, you might need to take a few important actions to get it ready. Here are a few tips for starting up your air conditioner and making sure it’s set up to run seamlessly throughout the warmer seasons. Before starting up your air conditioner, remove any protective covers or lids from the outdoor condenser unit. It needs to access the air to effectively transfer heat. Then, clear away any tree branches, tall grass, or debris that might be near the unit, as any blockages can make the unit work harder than necessary. 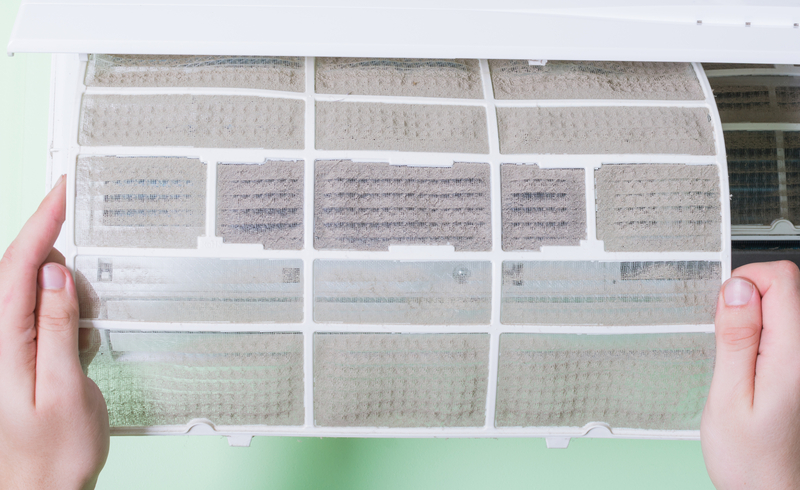 It’s important to change the air filters regularly—usually every three to four months—as any clogs or buildup will force the system to expend extra energy and could lead to a loss of indoor air quality. This should be done at the beginning of a new season, but continue to check about once per month throughout the year. To catch any potential issues with your air conditioner, turn it on and let it run early in the season. Notice if it’s working as intended or there are any issues like frequent cycling or warm air blowing. These could indicate the need for professional repairs. However, you may want to schedule an inspection to ensure it’s working properly, even if you don’t notice any specific issues. Dust and debris naturally collect in your ventilation system over time. They can build up on your filters or get into your compressor and cause the system to operate inefficiently. The inner workings of your air ducts can be quite complicated to navigate, so have a professional complete this task for you. If you need any air conditioner repairs or maintenance to get your system ready for the spring and summer, trust the professionals at Comfort Tech Heating and Air Conditioning. Serving Thomasville, NC, and the entire Piedmont Triad area, the HVAC contractor offers a wide array of services to help you increase comfort and energy efficiency in your home. In business since 1994, the locally owned and operated company offers a two-year labor warranty on all of their work and doesn’t charge any extra overtime fees. Mention the company’s website to receive $20 off service. For a free quote, visit them online or call (336) 472-5858.